In the first ever FIFA eNations Cup, Corentin Thullier’s France were crowned the first-ever champions, earlier today, as they defeat Argentina in the final. Lucas Cuillerier was the other teammate in the French Team. This dramatic victory for Corentin Thullier came after a weekend of excitement, tension and drama that saw eFootball teams from 20 member associations and six confederations battle it out. With this win, France secured their place in eFootball history to become the first-ever FIFA eNations Cup champions, winning the USD 40,000 top prize and 1,500 EA SPORTS FIFA 19 Global Series Points. 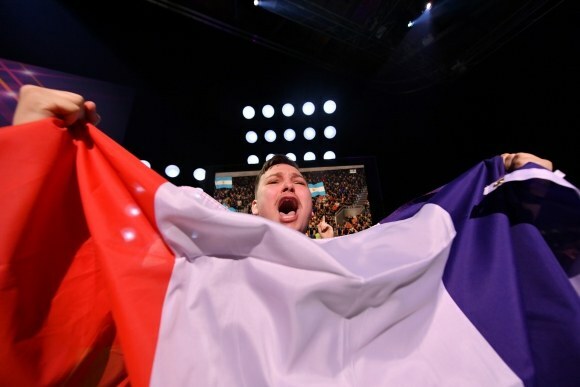 The team of France comprised of world number 6 on PS4, Corentin Thullier, and world number 5 on Xbox, Lucas Cuillerier. The crowning of the first-ever FIFA eNations Cup champion capped an exciting two days of competition between 20 of the world’s best eFootball nations at the FIFA eNations Cup, which also provided member associations with the opportunity to run a national selection process to identify the two best eFootball players in their respective country. Speaking at the closure of the event, Christian Volk, Director of eFootball and Gaming at FIFA, said: “As part of continued professionalisation of eFootball, the FIFA eNations Cup has presented an important stepping stone to further grow the eFootball ecosystem, offering member associations with the chance to run their own national selection process and qualifying events.